Do you have an experience you would like to share? Please tell us about your experience. My husband and I are forever grateful for the amazing staff at Infertility and IVF Medical Associated of WNY!!! The doctors and staff were so compassionate with us! They explained our options and kept us strong during treatment! We remember the special day when we had our appointment to check for the heartbeat of our singleton. To our surprise, there were two heartbeat flickers on the ultrasound screen; identical twins! 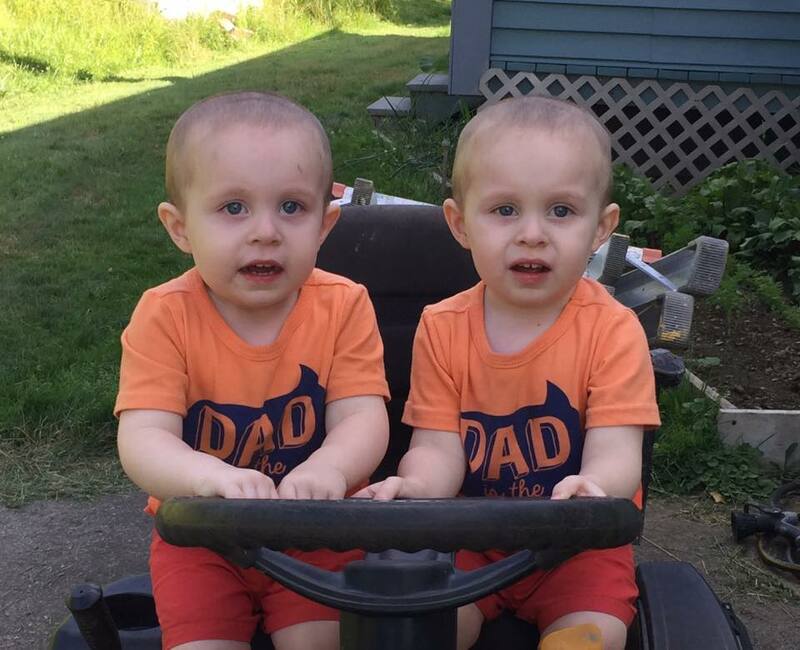 These little miracle boys (Brayson and Riley) just turned two! Dr. Griffin and Dr. Sullivan will always be our heroes for giving us the family we always dreamed and hoped for! Thank You!!! Dr. DiPaola was kind, knowledgeable, and gentle. She made my husband and I feel so comfortable and confident in her care. Last February she fixed my uterus and two weeks ago we safely delivered our beautiful baby boy! We owe her everything. 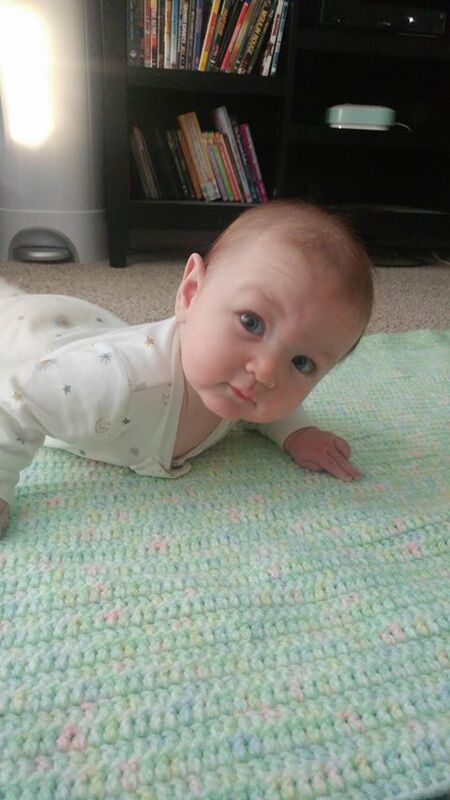 We tried to conceive for 2 years with help from my OB/GYN prior to coming to Buffalo IVF. 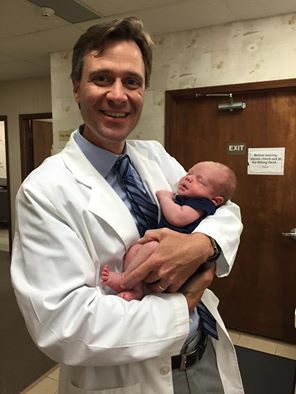 My OB/GYN highly recommended that I meet with Dr. Griffin, as he was "the best" in the area. I knew when I first met Dr. Griffin that he was a great man who was going to do everything he could for us. Our first try was not succesful like we had hoped it would be. Dr. Griffin then recommend laparoscopic surgery to remove cysts that I had. The surgery led to several more discoveries, one of which was a diagnosis of endometriosis. Unfortunately, we were still not succesful with traditional IVF, so we chose the option of using a donor egg. We went through Donor Egg Bank USA and chose the woman whom we felt was the best fit for our family. After a long process, we are so thrilled to have come out of it all with our beautiful boy, Dante James. I've had the pleasure of working with all of the doctors at Buffalo IVF including the now retired Dr. Crickard and Dr. Dipaola. 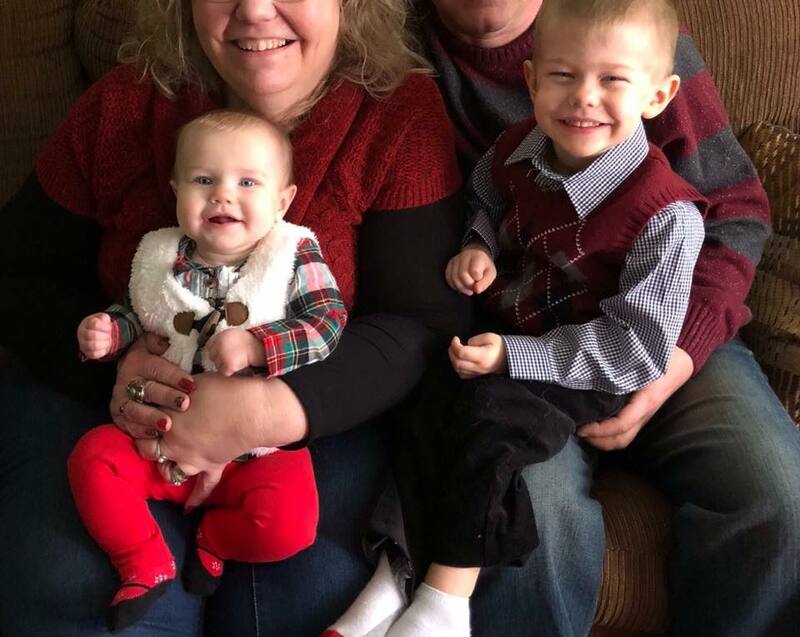 They helped me through getting pregnant, through a miscarriage, and then through 2 more pregnancies and these two beautiful kids wouldn't be here without them! Dr. DiPaola was our lifesaver! After losing hope of conceiving on our own, she jumped right in to help us on our journey. She is so beyond caring and personable! We are so grateful to her for helping us bring our daughter in to this world! Before going to Buffalo IVF, I felt hopeless. I tried doing infertility treatments through my OB/GYN. Cycle after cycle, no improvements were made. After 6 months pursuing treatment with my OB/GYN, I made the decision to check out Buffalo IVF. From the first meeting, Dr. Sullivan was so helpful and reassuring. I always felt like I was his only patient. He was always so caring. When our first cycles weren't successful, I felt that he was as sad as we were. I will always thank this man for giving me my first-born child. HE made me a parent and I am forever grateful to him for that. Then, with the help of Dr. Griffin, we were able to add to our family again. I love Buffalo IVF so much and look forward to going back there again. To anyone going through infertility, I just want them to know they're not alone. You have cheerleaders in the staff at Buffalo IVF. If you're having trouble conceiving, just go straight to the pros, they know what they're doing! Absolutely loved working with Dr. DiPaola. She’s very caring. She explains everything in the process to her patients. She’s easily relatable. She seriously is such an awesome doctor. Can’t thank her enough for blessing us with our LO due in May. I saw Dr. DiPaola while my husband and I were trying to conceive. She was so knowledgeable and wanted to set us up with our individualized plan. Everytime we saw her she was filled with warmth and you can tell she loves helping couples reach their dreams. I will forever be grateful for her help. We have a beautiful baby girl thanks to her guidance and care. My husband Todd & I would like extend a heartfelt thanks to Dr. Sullivan, the wonderful nursing staff and the rest of the people at Buffalo IVF. After some initial treatments and discussion with Dr. Sullivan my husband & I got healthier and I lost over 100lbs. We went back to see Dr. Sullivan and started treatments again and in March 2014 we gave birth to a beautiful HEALTHY baby girl! We cannot say enough about the kindness and compassion the nursing staff showed. Dr. Sullivan gave us the motivation we needed to get healthy so we could experience the greatest joy of our lives! We can never fully express our gratitude to Dr. Griffin and the rest of the Buffalo Infertility and IVF staff. We came to Buffalo Infertility and IVF feeling discouraged and empty in our journey to have a family. After our first consultation with Dr. Griffin, we were filled with so much hope and a positivity that we had lost. Dr. Griffin is EVERYTHING that you hope for in a Doctor. He is compassionate, kind, sincere, personable and most importantly competent and knowledgeable. He made us feel like he was personally invested in our outcome and supported us through every step of our IVF journey. He would personally call us at home to discuss our lab results or progress as well as personally return phone calls when I had questions or concerns. Nothing ever seemed like it was too much trouble to Dr. Griffin. I never felt like Dr. Griffin had another patient waiting. In fact, he would encourage us to ask all our questions and made sure we fully understood everything before walking out of his office. My husband and I are one of the lucky ones. We are expecting Twins in June from our first round of IVF. To that, we have Dr. Griffin to thank. Not just because he made it medically and scientifically possible but also because he made us able to believe in success and a miracle. Because of Dr. Griffin, I now know what it truly means to be eternally grateful to someone. Back in about 1999, my husband and I realized that having a baby wasn't going to be as easy as we had expected. We began treatment with my OB/GYN - and had at least 6 rounds of insemination with fertility drugs - one of which resulted in a miscarriage. In 2000, we decided to give IVF a try - but at a different facility (since that's where our insurance was accpeted). After 3 failed attempts, we were fortunate enough to find out that Buffalo IVF was now participating with our insurance, but it would be our last attempt at IVF. We had 6 good embyros ... 3 were transferred in Sept. 2001 - resulting in a son born in June 2002. The other 3 embryos were frozen - and in March 2003, we decided to give them a try. That transfer also resulted in the birth of our second son in October 2003. We were happy!!! Our family was perfect!!! But - in Jan. 2005, I wasn't feeling "right". Just for the heck of it, I tried a home pregnancy test - and it was POSITIVE ... with NO fertility drugs or doctor's intervention!!! We couldn't have been happier. With my history, we had many sonograms during the first trimester. All were wonderful. At 13 weeks, however, I was at my specialized sonogram, which seemed to be taking an extra long time. When the doctor came in to give me the results of the sonographer's work, he asked if we had a sonogram before this one. Yes - all was good. "Hmmm ... no one bothered to tell you there are TWO in there??" Are you kidding????? Twins!!!! On our own!!! We owe so much to Dr. Sullivan and the staff - for getting us started! 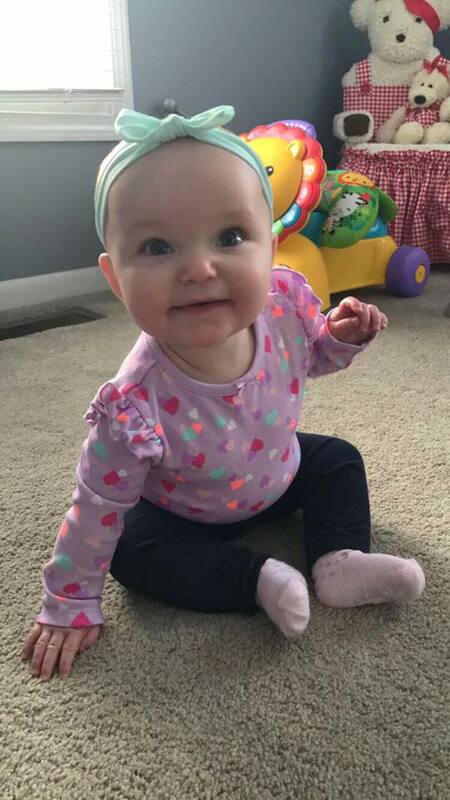 They are thought of often in our house - and our story has been shared so many times - all with fond words and great thanks to everyone at Buffalo IVF!!!!! 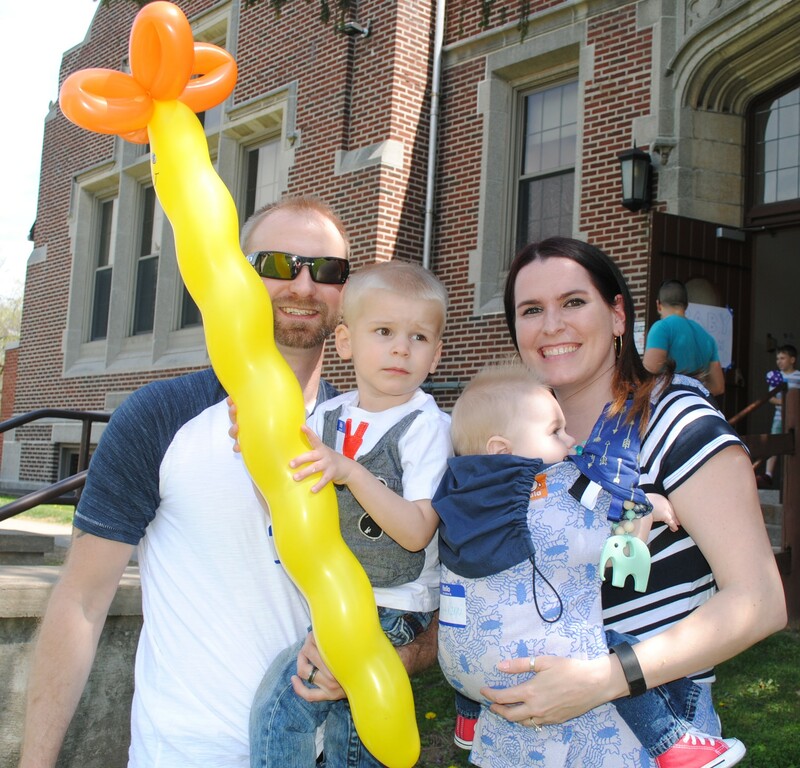 We had been wondering why we were unable to conceive our second child after a couple years of trying, and little to no help from my OBGYN. I called Buffalo IVF on my own and we worked with Dr. Sperazza for 2 years (during that time had 2 surgeries to remove uterine polyps, tried oral meds, IUI, and injectable meds with IUI) - we were not having any success. We knew I had a lot of scar tissue from the first c-section that was likely an issue, but were not able to get that corrected. After Dr. Sperrazza retired, we saw Dr. Sullivan briefly until I started having pains, at which time I was referred to Dr Griffin. They say "everything happens for a reason" - and well everything that happened led us to this amazing doctor. Upon meeting with Dr. Griffin, he immediately knew how he could fix my problems and ensured me he would correct any other issues he found during surgery. We left that appointment with a new sense of hope, because we had given up. Dr Griffin was able to correct all anatomy issues that were a result of scarring and adhesions from the csection and we were able to get pregnant on our own the first month we tried. We will always be eternally grateful to him, he is everything that a doctor should be and more, he truly cares. From the office staff to the nurses, we were sad to "graduate" from the practice, even during the low points, they were all encouraging and supportive. You will be in great hands. We had a great experience with Dr. DiPaola! She wasn’t our main doctor at Buffalo IVF but we worked with her during our last round of IVF. It was our 5th cycle and starting to look like it was going the way of the others, but she stayed positive and didn’t let us give up. She got us to the finish line and our miracle baby is due in a few weeks! We are so grateful to Dr. DiPaola and the whole staff of Buffalo IVF! I have only worked with Dr. DiPaola briefly so far, but she is an amazing doctor. Very kind and respectful. She made what would normally be a very uncomfortable (both physically and emotionally) mock procedure, as comforting as possible. She made sure to keep me informed throughout this appointment which was very helpful! I met Dr. DiPaola at one of my ultrasounds she was filling in for. I was so comforted by her incredibly caring, soft manner. She instantly made me feel at ease. She then performed my egg retrieval and was again so kind and gentle. I am doing my next cycle with her and feel very comforted knowing she will be taking care of me! After years of struggling with PCOS and a pituitary tumor, resulting in infertility, we went to see Dr. Crickard at Buffalo IVF. I didn't think pregnancy was an option for me but wanted to try anyways. 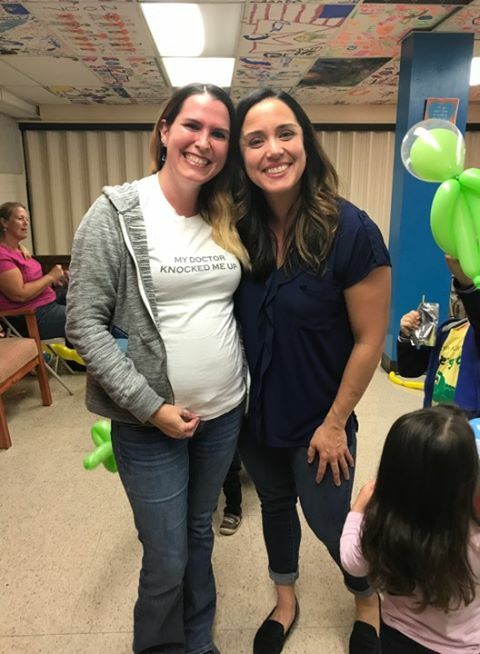 After only my second cycle of Femara and a Trigger Shot in October 2014, I got pregnant! I just delivered my beautiful baby boy thanks to Dr. Crickard and all the nursing staff that helped us with the process. Thank you all!!! August 28, 2012 Dr.Sparaza did a tubal reversal for me. By November we were pregnant, but unfortunately on December 14, 2012 I had to have emergency surgery for a ruptured tube. We were devistated, but didn't give up hope. With one tube left we have since gotten pregnant twice. We had a healthy boy March 2, 2014 and another healthy boy May 22, 2015. We are gonna try for one more, but are very thankful for the success we have had. Mia and Luca are our little miracles! Thank you to Dr. Griffin, Dr. Crickard, and to everyone who made this possible for us. Having a family was our dream, and because of all of you, we wake up feeling completed everyday. You have given us the most precious gifts! When my husband and I found out that he had low count and low morphology sperm we were devastated. I always had problems with my period and we had been trying to get pregnant for over a year. Dr. Sullivan helped us feel more optimistic and started treatments right away. First we tried pills and IUIs, but none of them worked. Then we moved to injectables and IUIs, but after a few months I still wasn't pregnant. I remember the pain and the stress everytime that I would get my period... The nurses and the staff at the clinic made it easier to endure. They always had warm and positive words for us, making me feel optimistic. One of the most important things in this difficult journey is never giving up on your desire to be a mother. We decided to move into IVF. It was the best decision we ever made! It is worth the time, the surgery and the money! Dr. Sullivan did a fantastic job and we had 7 embryos and we transfered the best 2. None were left for freezing. We waited and... there it was a positive pregnancy test! First ever! Unbelievable! But life was still keeping a few more tears for us because I miscarried within a few days.... Never give up! We tried a second round of IVF and we had fantastic embryos this time! They made it to day 5 and we had 3 to freeze! Dr. Griffin, another wonderful doctor, performed the transfer and... Pregnant again! This time it seemed like it was going to stick, however I had constant pain and bleeding episodes... It was a subchorionic hemorrage and I could lose the baby! We went through hell, crying everyday thinking we could lose the pregnancy but... we didn't. Noah was born a few months ago and he is the most magical thing that has ever happened to me. He is healthy and beautiful. I will always be thankful to Dr. Sullivan and Dr. Griffin. Put yourself in their expert hands and never give up on your dream. My story begins in my early 20's when I began to suffer from very heavy, irregular cycles. I was married at 28 and a few years later my husband and I wanted to start a family. Things did not go as we would have hoped. After several biopsies and D&C's, I was told that I would need a hysterectomy. As a young newlywed, I was not ready to give up that easily. A friend recommended I go and see Dr. Sperrazza. I was impressed with his staff, the nurses and especially Dr. Sperrazza himself. He listened to my story and was willing to work with my husband and me. After many months of treatment, it was obvious that things were just not meant to be. Dr. Sperrazza performed exploratory surgery, an ovarian cyst removal, and eventually a hysterectomy. All the while he stood by my side. He visited me in the hospital every day, called me at home to check on me, and I trusted him with my life. I cannot express the gratitude I have toward every person I came in contact with at his practice. They are all to be commended for their professionalism, kindness and concern for their patients. My story ends very happily with my husband and I adopting 2 children and my health being fully restored by Dr. Sperrazza. I will always consider him my "favorite doctor". He is simply the best! I want to thank the doctors and staff of Buffalo IVF. Everybody was very kind and caring throughout what is probably the most difficult time in a couple's life. I would especially like to thank Dr. Sullivan. He was so very kind, compassionate and dedicated. Dr. Sullivan went above and beyond what I have expected and experienced from physicians in the past. He truly looks at each patient as an individual and treats them with care. Dr. Sullivan took the time to personally call on my several occasions - which meant the world to me while going through this process. Thank you again for all your care and kindness. I would like to thank Dr. Sullivan and his amazing team of loving, caring and supportive staff. After just over two years at their office, we are thrilled to be expecting twins. From the very first day we sat down with Dr. Sullivan we felt like we were in good hands and that he really cared for us and we truly believed that if someone was going to help us to grow our family that it would be him...and he did! Thank you will never be enough, what you do for families cannot be put into words. Because of you we have everything that we have ever hoped for...and more! I wanted to take this opportunity to convey our love and gratitude for Dr. Sperraza for helping us through our journey of becoming parents. For us Dr. Sperraza is a "Guardian Angel" sent by god to help us in our journey in becoming parents by giving his words of hope and support. After trying for a couple of years, and with our doctor's advice, we turned to Buffalo IVF and met Dr. Sperraza. From the first day, his warmth, caring, affection, and taking time to answer all our questions made us feel special to him, and were a big support. With two miscarriages back to back, we were back at square one with depression and pain. At that time too Dr. Sperraza helped us to move on with his words, love and to believe everything will be fine. His words came true and our journey of becoming parents achieved, the most happiest and beautiful moment "our son was born", the love of our life. Thank you Dr. Sperraza for taking care of us and helping us achieve our dream of becoming parents. I take this opportunity to thank all nurses and staff, especially Judy Gibson, Judy lowes, and Melanie Coates, for all their care, patience and comfort. As we enjoy the beauty of parenthood with our wonderful son we want to tell you Dr. Sperraza how special you are in our lives and how much you are loved. Thank you. My husband and I married when I was in my 30’s, and our dream of having a family right away didn’t go as planned. We tried on our own for quite a while, but had no success. I began to notice that my cycles were becoming increasingly irregular. A friend of ours recommended that we consult with a specialist who she spoke very highly of. That is when we met Dr. Sperrazza. I was so nervous before we sat down with him, but he was extremely thorough in explaining the process and his plan for my husband and I. Dr. Sperrazza’s kindness and understanding made me feel as if everything was going to be ok. Our journey through the fertility process was not without a few bumps in the road and heartbreak. With months and months of treatments, we did conceive twice, only to miscarry both times. I felt like a failure and my hopes and dreams of becoming a mother felt like an unobtainable goal. But, Doctor Sperrazza was determined to find out why I was miscarrying and what kind of regimen was needed to try to prevent them in the future. Because of his wealth of experience, expertise, and compassion, I am thrilled to be able to say today that we now have a beautiful 3 year old son and a daughter who is soon to arrive within the next few weeks. We are extremely blessed and feel as if our lives are now complete. The process of fertility can be both trying emotionally and physically at times, but I truly believe that it makes you a stronger, more appreciative parent because when you finally find success, that child will forever be the most important and special gift in your life. 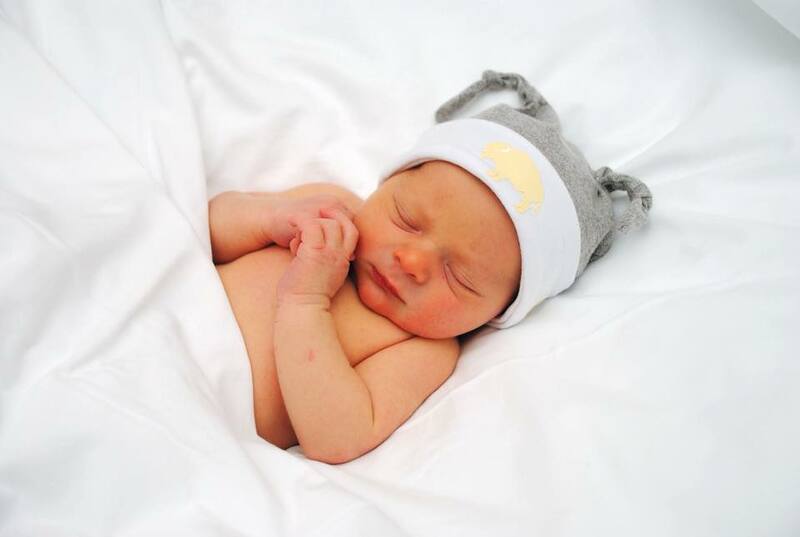 There are no words to express our gratitude to Doctor Sperrazza for helping us fulfill our dream of becoming parents and to the amazing nurses and staff who go above and beyond. They will forever be our angels! My husband and I have been blessed with a beautiful son thanks to Dr. Sperrazza and his caring staff. Dr. Sperrazza is an incredibly gifted physician, whose thoroughness and expertise allowed us to realize our dream of having a baby. We were married 5 years before we started to try for a baby. After a couple years of trying on our own, we decided to seek help. We came to Buffalo IVF feeling depressed and worried, not knowing what to expect. After meeting Dr. Sperrazza, we felt as if we were his only patients. He is such as wonderful physician and compassionate man. He took time to explain our circumstance and our options so that we felt comfortable and hopeful. The staff at Buffalo IVF are equally kind and talented. There are not enough words to adequately give thanks to Dr. Sperrazza for helping to usher one of God's special angels to us! I just wanted to take the time to tell my story and show my appreciation to Dr Sperrazza and the amazing staff at Buffalo IVF... My husband and I had been trying to get pregnant for almost a year. During that time I stopped getting my period. After trying some things with my gynecologist, he referred me to Dr Sperrazza. That was the best thing that could have happened, Dr Sperrazza was so compassionate, and really took the time to figure out what was going on with my body. I ended up having endometriosis and scar tissue that Dr Sperrazza was able to remove. After trying several months of injectable meds and IUI's we made the decision to remove my uterine fibroid, which was a major surgery. We had known it was there but it typically does not affect fertility and since the surgery was so major Dr Sperrazza did not want to do something so invasive right away. That really told me a lot about the kind of doctor he is, he wasn't just going to do a surgery on me right away without eliminating other options first. After my surgery I got pregnant on my first month trying with the help of some low dose meds. I now have a 2 1/2 year old boy and am expecting my 2nd child in May 2014, also thanks to the help of Dr Sperrazza. My husband and I have had an amazing experience with Dr Sperrazza and all of his wonderful staff. It is an extremely stressful time dealing with Infertility, everytime we met with Dr Sperrazza or the nurses it would bring us peace and help us get through each negative pregnancy test. We will be forever grateful to them for all their patience and support and for helping us get the greatest gifts we could ever ask for. Thank you to everyone, you have truly become like family to us! I want to begin by saying "thank you" to Dr. Sperrazza for saving my life! I became a patient of his 10 years ago and he has taken such good care of me. I wouldn't be here if it wasn't for his expertise and vigilance. I was no where near a "textbook" case, and nothing about it for him or myself was easy. He was able to look over my records/tests, meet with my husband and I, share his concerns and we set forth on setting a surgery date and "fixing" the problem. He was able to line up the required specialists/surgeons (in addition to himself) in order to perform the necessary procedures. This all took place in 2003. Since then I've had lapro's done and finally another major surgery in 2010. Although the journey had it's ups and downs, it was OUR journey and Dr. Sperrazza never left my side. He would call me at the hospital, stop by and made sure I felt secure in what was going on and ALWAYS answered my questions. He included my husband and took our children into consideration (that meant a lot to me) as well. I'll never forget sitting across from him and he looked at me and said "we need to fix these problems. If we don't you won't be around to grow old with your husband and take care of your children." He always told us the truth and I respect and love him for that. Because of him and the Grace of God I am here today and loving life with my family, students and friends. He was so talented at diagnosing the problems at hand and dealing with them head on, allowing us to continue on as we grew our family. His entire staff was phenomenal and supportive throughout the entire time and continue to be so to this day. I have referred many to Dr. Sperrazza and will continue to do so. Again, thank you to Dr. Sperrazza for giving me back my health and allowing me to truly enjoy life again! After trying on our own and through my regular OB for 3 years we finally made the decision to see a specialist. I was scared and unsure of what to expect. The first time we met Dr. Griffin all of my fears quickly went away. He is the most personable and compassionate Doctor I have ever met. He made me feel like I was his only patient and always had time to answer all of my questions. We unfortunately suffered two miscarriages back to back and he made me feel like I was not alone and he has helped me to remain hopeful about our future as parents. He took time out of his weekends to answer my phone calls and questions through the whole process. He was great at explaining everything and making me feel comfortable the entire time. I know in my heart that we will be successful with Dr. Griffin helping us along the way. I can not thank him enough for everything he has all ready done. After trying to become pregnant on our own for almost 2 years, we faced the heartbreaking reality that it may not be possible. I remember my intense feelings of fear, disillusionment and anger as we walked into the doors of the office. As soon as we sat down with Dr. Griffin, many of these feelings were put to rest. Instead, I was filled with inspiration and hope as we moved forward. Dr. Griffin made the most of each precious month - we got started right away! He was supportive, optimistic and kept us well informed of the entire process. He was always available for questions and personally called to check in on us during the process! 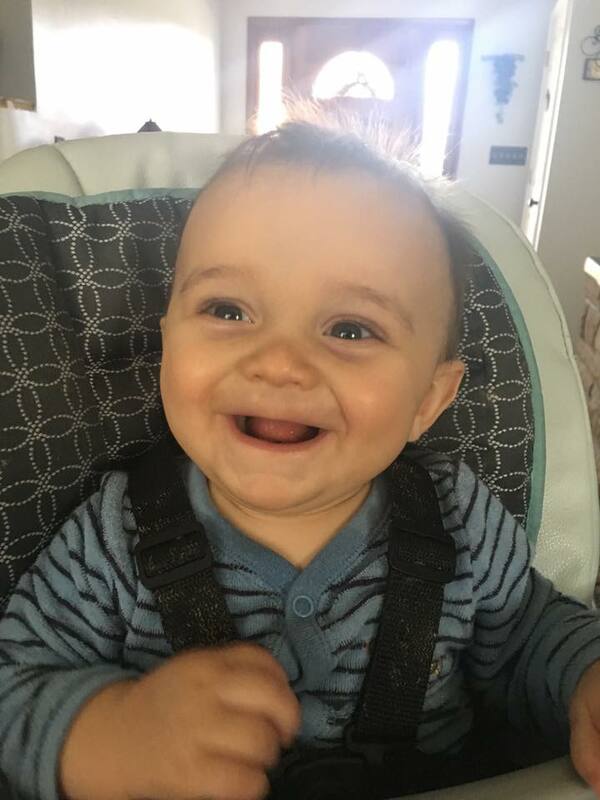 As we began the IVF process, his optimism and honesty kept us moving forward through what was a highly emotional process. All of the staff - especially Anne and Kathy (our IVF nurses) were phenomenal! Everyone is so friendly and willing to take the time we needed to answer our questions or offer a box of tissues - of which I needed many!!! After a few short months, we have come out on the other side and have graduated with a set of twins! My husband and I could not be happier. Dr. Griffin and his staff made the impossible possible! I feel so blessed that he came into our lives when he did - and grateful for his incredible insight, support, optimism, honesty and bedside manner. As difficult as dealing with infertility can be, I would not want to be anywhere else! Thank you again Dr. Griffin and everyone over at Buffalo Infertility. Thanks to all of you, my husband and I can have the family we have always dreamed of! I want to thank Buffalo IVF, and Dr. Griffin, for giving me hope and optimism as I navigate through this process. After suffering two miscarraiges fairly close together last year, I felt dispondent, depressed, angry and scared. Even though my husband and I still have a long road ahead, being referred to Buffalo IVF and treating with Dr. Griffin has improved our outlook on things so very much. The staff at Buffalo IVF is very personable and friendly. I never had trouble getting in for an appointment and when I called with a question, it was always answered in short order. Dr. Griffin is so much more than just a wonderful, skilled physician. His ability to listen to how I am feeling and answer my questions is extraordinary. I can honestly say that when I have an appointment with him, I feel like I am the only patient he is seeing that day. He takes his time to explain everything and is a thorough, kind, patient and incredibly talented doctor. The last nine months have been a roller coaster of emotions for my husband and I. After treating with Dr. Griffin, I truly believe now that what I thought was just not meant to be five months ago will now happen in the not too distant future. I will be forever grateful to Dr. Griffin and everyone at Buffalo IVF not only for diagnosing my issue and treating me, but for helping my husband and I feel excited, hopeful and optimistic again about having our own children. I would enthusiastically and without reservation recommend Dr. Griffin. He is absolutely wonderful. I wanted to take this opportunity to express my gratitude for Dr Griffin and his warmth, compassion, presence and competence as he has helped me navigate through my journey of becoming a mother. They say that people come into our lives for a reason and when you can figure out that reason, you then will know what to do for that person. For me, Dr Griffin has given me back much more that I can ever give him. Saying thank you is a small token of my gratitude. I have been a patient of Dr Griffin's for over two years now. Our paths crossed when I was experiencing the first of my two miscarriages. He walked into my life when I was experiencing such a painful heartbreak. It had shattered me and I never will forget it. I will never forget that in the midst of it, though I couldn't understand what was going on, his presence in that room left me with a settled sense within that I was OK and that brought me comfort. I think time is our most precious gift because we only have a set amount of it. You can make more money and you can make more stuff, but you can't make more time. When you give someone your time you are giving them a portion of your life that you can't get back. Your time is your life. That is why the greatest gift you can give someone is your time and I have received that gift from Dr Griffin. Caring is about the willingness to simply pay attention to others and to be there during moments of pain. Dr Griffin has taken the time to listen to me talk, sit with me and feel the hurt in my life and to give me hope when I felt defeated. His caring disposition has touched me and I am forever grateful. He has a wonderful gift and I am so blessed he has shared it with me. When I look back on how painful of a journey it has been these last two and a half years, I can say that while it was the most challenging time of my life, the best thing that ever happened to me happened because of it. It happened because I had Dr Griffin to walk with me on my journey. I am a better person because of him and I will be a better mother as well. His time and compassion has been my strength and comfort in times of grief. And it has shown me that sometimes when we are weak, the most beautiful things can happen to us. And because of him, a baby girl has found her way into my life and that little girl is my life a thousand times over. Thank you Dr Griffin. You have been a great source of strength and you possess the humbleness, patience and comfort that has given my family a brand new start.